INDICATION: 53 yo male who tried to steal Christmas, c/o warm sensation in the chest. Before Christmas the heart is two sizes too small. 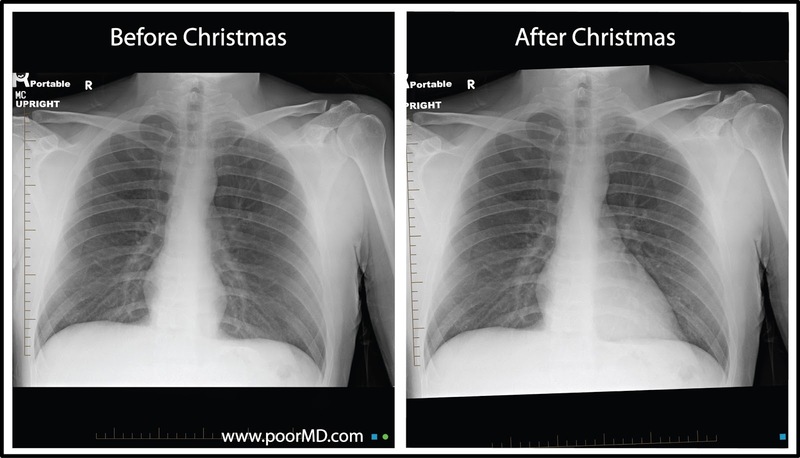 After Christmas the heart size is normal. Microcardia has resolved after feeling the Christmas spirit.